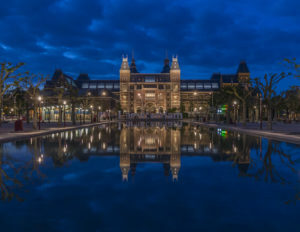 The Rijksmuseum and the Association for Historical and Fine Art Photography (AHFAP) present the third 2and3D Photography conference, 8-10 May 2019. Download preliminary Program from here. Short courses take place at the Universidade Lusófona in CICANT-Building U, Campo Grande 376. Technical sessions take place in the Auditorium of Arquivo Nacional da Torre do Tombo, Alameda da Universidade. Use the Auditorium entrance, to the right of the main entrance. Both are located in the Campo Grande section of the city, within a 10-minute walk of each other. Our Interpret Europe Conference 2019 will take place in Sarajevo (Bosnia and Herzegovina). It will be organised by 2MB.